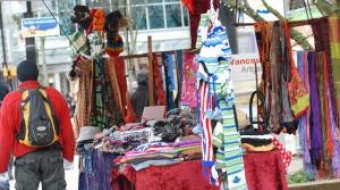 Beyond the area around Robson Square and Granville Street, it was business as unusual---unusually slow, except for the occasional exception like The Umbrella Shop on Granville Island. 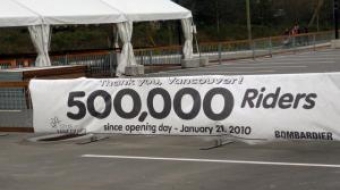 After being used by over 500,000 travelers, the Vancouver streetcar will close on March 21. 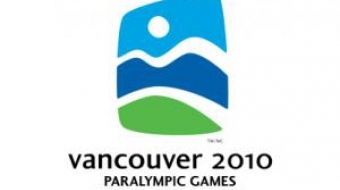 The Paralympic Games deserve an equal amount of public attention. Why so much apathy? 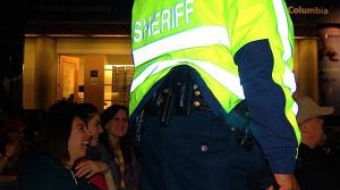 A successful police story unfolded during the Vancouver 2010 Olympic Games. 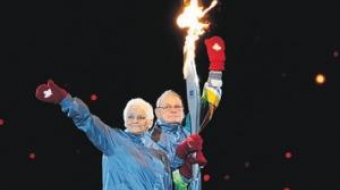 Betty and Rolly Fox, parents of Terry Fox, carry the torch into opening ceremonies for the 2010 Paralympic Games. 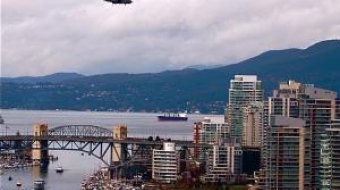 After being the warmest city to ever host the Winter Olympics, Vancouver gets snow in March. Inez acknowledges the importance of a supportive family when pursuing multiple dreams. Cultural Olympiad continues during the Paralympic Games with daring dance, thoughtful theatre and awesome art.